A couple of years ago, I was a total social media fool. I mean, I registered on Facebook because my brother Jonathan and I founded an online based company – everybody was already there and talking, and I did not know how it all worked. I got a personal Twitter account to give our newly created company account a first follower; I had no clue that my personal account would fast outgrow our company account and become one of our most valuable social media assets. We desperately lacked knowledge, so we talked to many people, who we thought had it all figured out, what we should do and how social media would be done right. That was in 2010. We got some great tips and funny hacks, like clicking on user profiles in XING (the German language equivalent to LinkedIn); that one really worked because Xing shows their users the visitors to the profiles, people got curious and we got their attention. Not a real strategy but it got us some first users for our startup. 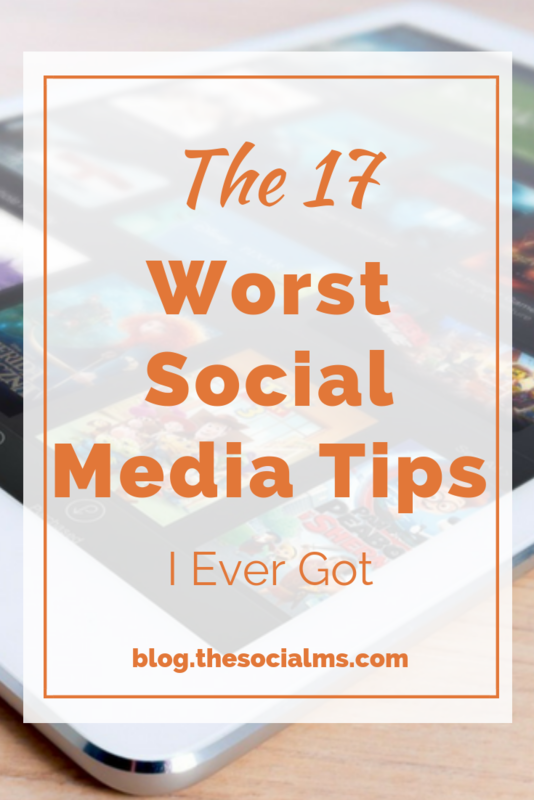 But between all the crazy, sometimes working and sometimes total screwed advice, there were some social media tips that are still floating around today, years after I first heard them. Somehow some so called experts keep these tips afloat and listening to them can easily break your social media efforts. When we did not know how to get it right and had no knowledge about any social network, we tried that: Being everywhere. The result is inevitable: Nothing. Instead of trying to be everywhere at once without getting one social network right, your efforts are not going to pay off. But the advice still runs around that more networks also mean more success. With new networks and channels springing up from the ground everywhere you will soon feel like a hamster in a wheel and still not see results. I have even seen „experts“ recommending tools to signup in „all“ social networks at once. Sorry, but that is total bullsxxt. Each and every network has its own tweaks and specialties, none of them „work“ simply by being there and starting to post something. I have also been asked by participants in one of our workshops, why we would not work more with videos on Facebook. While we would love to do that, and really hope to find the time for that soon, the question in itself is a bit like going around and asking a lawyer why he is not a mathematician or doctor or any other random job. The answer is simply: Because I can’t be everything or everywhere at the same time. You need to focus and set priorities, or your efforts are doomed to fail. Bad social media advice: Try to be everywhere. While many social media newbies struggle to find enough stuff to post in social media the advice is still out there that you need to post as often as possible. Then you see their accounts spit out updates to random topics in high frequency, and you simply have to mute them, or you will drown in superfluous and uninteresting updates. Know what you are doing and what topics your audience is interested in, before you go for posting more and more. And when you have your topics straight, measure how many updates your audience likes. There is definitely a “too much” at some point. I have been told that I should not automate my social media accounts, or people would not follow me. Interestingly enough most of the time this kind of advice comes from accounts with a few hundred followers. They have no clue what it is like to handle several accounts with thousands of followers. They have no clue how it is to run social media accounts besides a full-time job. For us, automation is a gift from heaven. Social Media marketing automation can be the solution to your marketing problems if you are a blogger or small business owner and if you have other tasks to do and want your accounts to stay active. The problem is that you should not automate because you can even though you do not know what you are doing. Figure out what works best for your account and then look for a reasonable way to use automation to free up your time for other tasks again. It is so easy, and you can do so much with automation. But it comes with some dangers. Automating things before you fully understand them, will easily make all your efforts fail. Advising newbies to automate as much as they can is so bad it leaves me speechless. To harvest the fruits of social media, you have to understand, try things, measure and adjust. Automating may sound like a good idea (and often it is), but it will backfire if you do it blindly. I thought the times of connected accounts when I had to mute friends on Facebook because they spammed me with an endless mix of tweets, pins and Instagram post were long over. But there recently seems to be a revival of this totally gross behavior. And for me it is an absolute No-Go. All networks have their own posting schedule and format for a reason. If I want to see your tweets I will follow you on Twitter and if I love your pictures I will find you on Instagram or Pinterest. If you are not willing to invest the time in all the networks, simply focus on one or two. Tweets on Facebook will simply not do the trick. Again, before hashtagging everything, make sure you understand how to use them in the different networks. While Instagram will certainly need some more hashtags, a tweet with more than one or two hashtags becomes more or less unreadable and will get you less attention. (Automated) direct messages seem to be more of a „hate“ factor than a love relationship. But declaring them spam or something you should never do is simply short-sighted and limiting. I have been told a long time ago that I should not use automated direct messages because people would not follow me if I do. Interestingly enough that happened when I was nearing 100k followers on Twitter and usually the people telling me this had a couple hundred followers. The truth is while Jonathan and I were still running exploreB2B, Twitter direct messages where an awesome marketing channel for us. We obviously found a message that people did not see as spam, but we gave them something they were looking for and our conversion rates were outstanding. Direct Messages can work wonders as a marketing channel but you have to be careful with the mesaging or your message will drown in all the other sales messages. The same goes for a lot of other “never do this” advice. It may just be the solution to all your marketing questions if you get it right. Never say never too fast. Yes, influencer marketing is the new hype. But there is certainly more to influencer marketing than tagging them in your tweets or images on Facebook. To be honest, if you tag me in your spammy messages the best that can happen is that I ignore you, I may even take the time and report you as what you are: a spammer. I have tried to take trolls seriously, bad idea. Don’t! You can never win. The thing with negative comments is: You can take them seriously and sometimes you should. But there also are times when it is better to ignore them. In the end it is a gut feeling that will help you decide how to react. You can never get it right for everybody. That is life! Starting social media marketing without the slightest clue about how and what you want to achieve means you are headed straight for huge frustration. Believe me, we have been there. It’ss not that your strategy needs to be right and goal-getting right from the start, but you need to be clear about what you are doing and where you are headed in order to figure out if it works and what exactly does not work. Only then can you analyze, adjust and eventually achieve what you are looking for. Starting without a strategy makes it virtually impossible to achieve anything worth your efforts. We finally found a process that worked for our marketing and helped us generate thousands of visitors and signups for our business. We have used this process over and ver again. For us and our clients. It works for almost any niche. I know that money is scarce when you are starting out. But I also know that you need results – fast. Hiring someone whon knows the same that you do (=nothing) is dangerous but can work if the person is willing to learn. Handing over your marketing to an intern is worse. Because once your intern knows what he/she is doing, you will be left right at the start again, because your intern will be gone for a better job. The nice thing about social media marketing is: You can learn it, too – and you can achieve something with social media even if you do not have the time to do it full time. Plus your personality has the power to give your social media marketing and branding and extra push. You need to pay respect to your marketing. This may be a more German problem, but I see it over and over again. Everybody who knows how to set up a Facebook fanpage and a Facebook ad campaign calls themselves Social Media Manager. They openly admit that they „never understood Twitter“ and Pinterest is only for businesses that work a lot with pictures, right? Facebook may be a good solution for your social media marketing, but so may Twitter, Instagram, Slideshare, or you name it. For us, it was not Facebook in the beginning; it was Twitter. If we had followed the advice we would have wasted a ton of money on acquiring Facebook fans for nothing – we did some of that anyways before we figured out that our money was better spent elsewhere. Social Media equals Facebook, everything else is for pussies – really? Have you heard recently that „email is dead“ and social media is the new email? Well, whoever told you that is an idiot. Social Media is great, and it is especially great to get subscribers for your email list. We are social media marketers, but marketing does not stop at social media. You need to put it in a relationship with your other marketing assets. And sure one of your most valuable assets is your list of targeted email subscribers. It still holds true: The money is in the list – at least if you did not buy it but earned it. This advice is kind of contradictory in itself. After all social media is about being social even if we use it for marketing. Once you have a huge audience, you may get off with being automated and neutral, but to build it you have to show who you are and build a relationship. Many social media marketing newbies are afraid of showing personality because it makes you vulnerable. But it is also what makes you unique and stand out. Simply keep in mind, that social media is kind of a smaller picture of the world. You will never be friends with or liked by everyone. If you come across people who do not like your personality, move on and connect with people who appreciate who you are. But a lot of people will like you BECAUSE of your personality. We have been there and done that. Posting great content and trying to engage with people – and waiting for some followers and fans to flock to our accounts. Most of the time, it will not work like that simply because when you are starting out, your following is by far too small to make it spread and no one will see all your efforts to connect. You have two options: either actively make your account being noticed on the social network – it can be but does not have to be via ads – or get famous in another way outside of social media and use your fame to grow your accounts – that is what celebrities do. 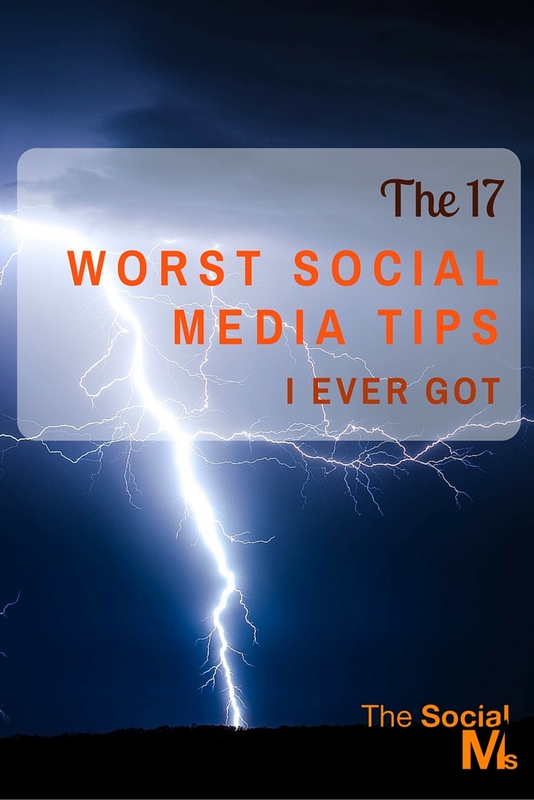 Most people who cannot make social media work for their business post not often enough. One tweet per day is almost like not tweeting at all which is as good as invisible. And posting every other week on Facebook is basically the same. It is not all about posting more and more all the time. You have to figure out what your audience wants – and find stuff to post that your audience likes. If you have nothing to say, then do not say anything. If you have value to share, your audience is going to like some more of it. We have heard this often, and we have seen what comes of it: People who are too afraid of saying the wrong thing so they end up saying nothing. You are allowed to have an opinion and a voice in social media, simply keep in mind that you are still talking to people. They have feelings and a right to their own opinion. Stay polite and do not get offensive – and you will be ok. You got along all your life outside of social media; you know how to talk to people! I started this post as a small piece for the weekend – obviously, we got a lot more bad social media advice along our way than I thought. The main thing you should take away from this post is: Listen to advice but do not believe everything. 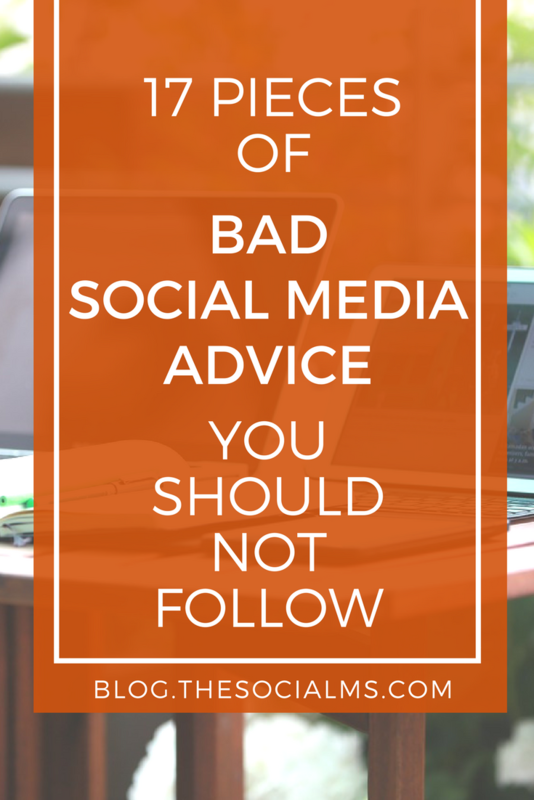 Some social media advice is simply bad and some tips may be right for some situations but may not apply to you. If in doubt, just try it out and measure your outcome. That is the best answer you can get to the question: should I or should I not. Are you looking for more traffic from Twitter? We can easily help you not only to double but to multiply your traffic from Twitter! 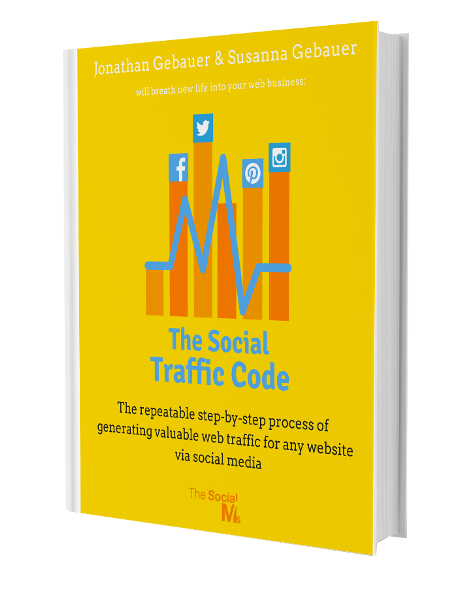 Because getting traffic from Twitter could be so easy – if only someone shows you how to do it! Do you want to know how? Click here!